Whitney Rupp for Shaw Media Jack Orndahl of Dundee-Crown exits the gym after the Class 4A sectional semifinal game Wednesday, March 7. 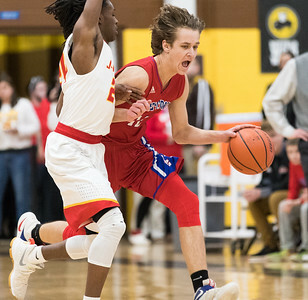 The Chargers fell to the Jefferson J-Hawks 77-48. 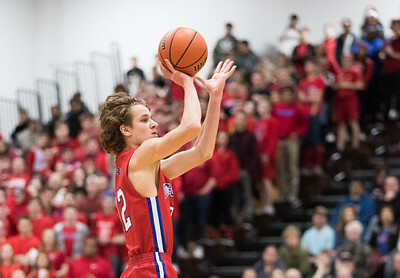 Whitney Rupp for Shaw Media Dundee-Crown’s Jack Orndahl looks to shoot during the first quarter of Wednesday’s Class 4A sectional semifinal. 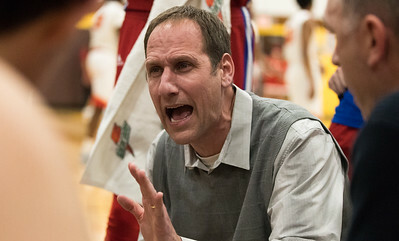 Whitney Rupp for Shaw Media Dundee-Crown coach Lance Huber speaks to his team at the end of the first quarter during Wednesday’s sectional semifinal. 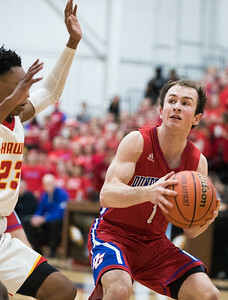 Whitney Rupp for Shaw Media Joshua Raby of Dundee-Crown drives against Jefferson’s Quillin Dixon in the first quarter of Wednesday’s Class 4A sectional semifinal. 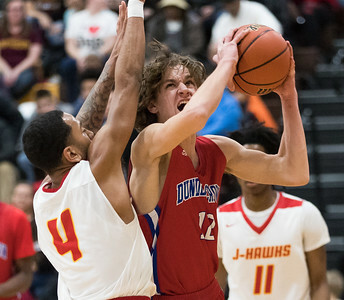 Whitney Rupp for Shaw Media Dundee-Crown’s Joshua Raby tries to get past Jefferson’s James Dunner in the third quarter of the Class 4A sectional semifinal Wednesday, March 7. 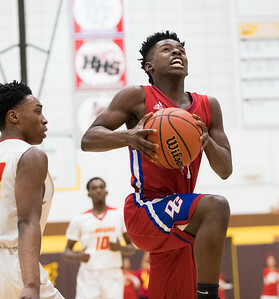 Whitney Rupp for Shaw Media Dundee-Crown’s Damarion Butler looks to pass in the second quarter of Wednesday’s Class 4A sectional semifinal against Rockford Jefferson. 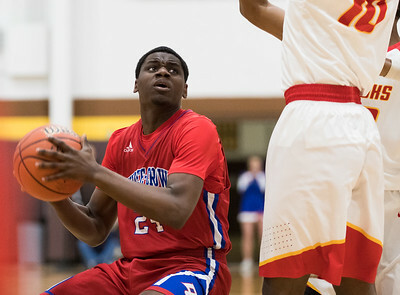 Whitney Rupp for Shaw Media Joshua Raby of Dundee-Crown faces off with Jefferson’s Quillin Dixon in the first quarter of Wednesday’s Class 4A sectional semifinal. 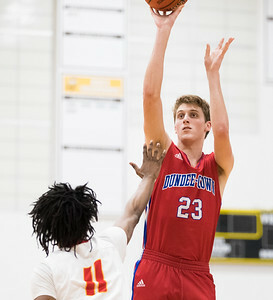 Whitney Rupp for Shaw Media Jack Michalski of Dundee-Crown lays up a shot in the second quarter of the Class 4A sectional semifinal against Rockford Jefferson Wednesday, March 7. 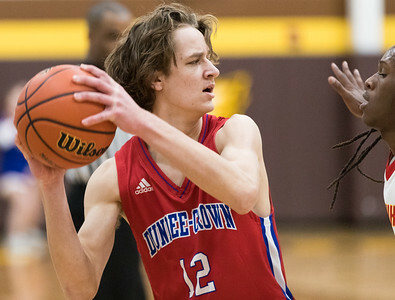 Whitney Rupp for Shaw Media Dundee-Crown’s Joshua Raby takes a shot in the first quarter of the Class 4A sectional semifinal against Rockford Jefferson Wednesday, March 7. 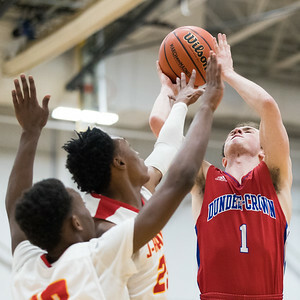 Whitney Rupp for Shaw Media Dundee-Crown’s Jack Orndahl manages a shot against Jefferson’s Terry Ford, center, and Mike Powell, left, during the first quarter of the Class 4A sectional semifinal Wednesday, March 7. Whitney Rupp for Shaw Media Trayvon Hatcher of Dundee-Crown gets past Jefferson’s Terry Ford in the third quarter of the Class 4A sectional semifinal Wednesday, March 7. Whitney Rupp for Shaw Media Dundee-Crown’s Brad Stec finds the hoop early in the third quarter in Wednesday’s Class 4A sectional semifinal. 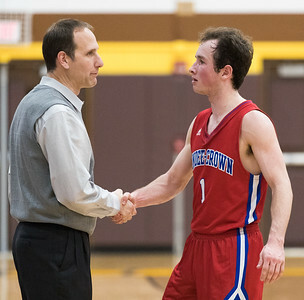 Whitney Rupp for Shaw Media Dundee-Crown senior Jack Orndhal meets head coach Lance Huber as he walks the court after his final game as a Charger Wednesday, March 7. 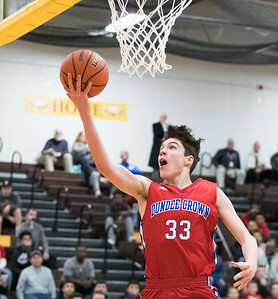 Whitney Rupp for Shaw Media Jack Orndhal of Dundee-Crown takes a shot in the third quarter of the Class 4A sectional semifinal against Rockford Jefferson Wednesday, March 7. 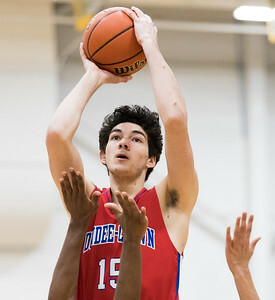 Whitney Rupp for Shaw Media Gabriel Bergeron of Dundee-Crown shoots over the reach of several Jefferson J-Hawks in the first quarter of the Class 4A sectional semifinal Wednesday, March 7. 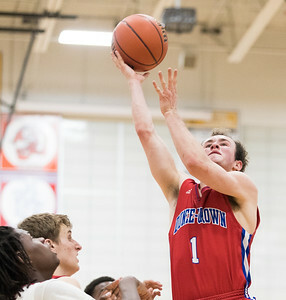 Whitney Rupp for Shaw Media Brad Stec takes a shot for Dundee-Crown in the fourth quarter of the Class 4A sectional semifinal Wednesday, March 7. 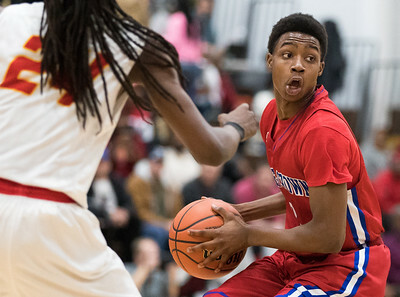 Whitney Rupp for Shaw Media Dundee-Crown’s Jordan Hairston looks for an opening in the first quarter of the Class 4A sectional semifinal against Rockford Jefferson Wednesday, March 7. 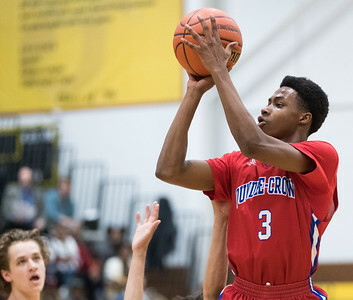 Whitney Rupp for Shaw Media Damarion Butler of Dundee-Crown goes up for a shot in the second quarter of Wednesday’s Class 4A sectional semifinal against Rockford Jefferson. 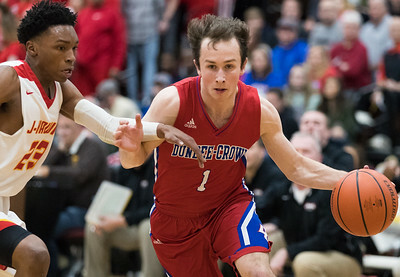 Whitney Rupp for Shaw Media Dundee-Crown’s Jack Orndahl drives past Jefferson’s Terry Ford during the first quarter of Wednesday’s Class 4A sectional semifinal. 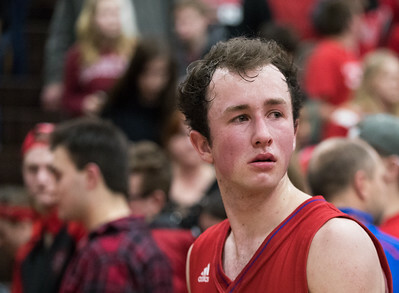 The Chargers lost 77-48 to the J-Hawks. 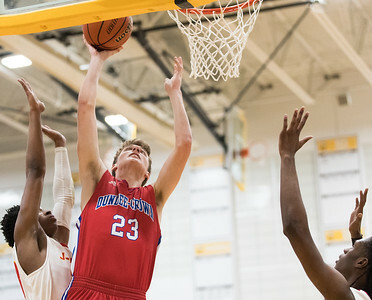 Dundee-Crown’s Joshua Raby tries to get past Jefferson’s James Dunner in the third quarter of the Class 4A sectional semifinal Wednesday, March 7.